Stop in for Fresh Local Seafood and Sushi! Asian food is very popular no matter where you are. Every area places their own twist on signature dishes in order to create one-of-a-kind flavors that truly stand out. Some of the best Asian food might be closer than you think. Basmati's Asian Cuisine has been serving delicious, authentic Asian cuisine to Destin, Rosemary Beach, and Seaside, FL for some time. If you're looking for a fine seafood restaurant that is close to home, Basmati's Asian Cuisine is just right for you. Make a reservation and come dine with us. Basmati's Asian Cuisine serves the area’s best local seafood and is noted as the best sushi restaurant from Destin to Seaside. We have been reviewed by Southern Living and the New York Times, and we are ready to serve you. Stop by today to grab an unforgettable meal. Choosing a fine seafood restaurant is not always as easy as you might think. There are so many restaurants that claim to be the best that it can be hard to sort through all of the ones that fall short of excellence. 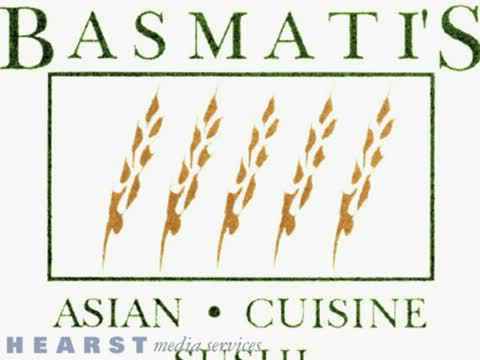 Basmati is a well-known Asian fine dining restaurant that welcomes customers from all across the Rosemary Beach, FL and Destin, FL areas. For special occasions or a simple night out, come join us for unbeatable, savory food. When you want an Asian fine dining experience that you won't forget, then remember our name. We are confident you will leave satisfied and ready to come back again and again! Are you new to Asian cuisine? Would you love to explore authentic Asian food? 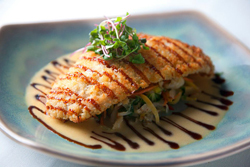 We are the best place for Asian fine dining in the Seaside, FL area! We serve a wide range of options that boast rich, intense flavors. Our food is prepared using fresh ingredients and traditional flair, and our welcoming ambiance is as wonderful as our food! If you are planning to experience Asian fine dining with your family or friends, visit us today. If you are a fan of sushi, you can’t miss our Asian fine dining restaurant in Destin, FL! Our sushi, dumplings, and other items are very popular among our patrons! We serve the best of Asian food at our restaurant. We also offer amazing seafood that is cooked fresh each day. If you are not familiar with Asian cuisine, we recommend that you try it here first. Visit us with your family for an amazing Asian fine dining experience! Basmati's is small by intention. If you are ready to experience fine Asian dining and seafood dining like no other, join us. 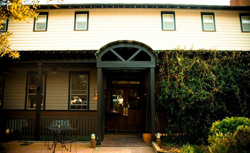 The intimate candlelit atmosphere and quaint screen porch invite quiet conversation and relaxation – a perfect setting for a quiet dinner for two or a communal celebration. Basmati’s casual sophistication is never stuffy. We welcome families and will gladly accommodate them with half portions of entrees for children. We are the best sushi and seafood restaurant in the area, welcoming customers from the Destin, FL; Rosemary Beach, FL; and Seaside, FL areas. Don't hesitate to give us a call or stop in today when you want to experience Asian fine dining with your friends and family! Fresh Local Seafood & Sushi For the Destin & Seaside, FL Areas! If you're a fan of sushi, then you are going to love Basmati's. If you have never tried sushi, don't worry. One thing that makes us the best fresh local seafood restaurant around is our selection. With so many different types and flavors to choose from, everyone will find something that they like at our fresh local seafood restaurant. If you are unsure of what to order, your server will help you pick something amazing from our fresh local seafood menu. When it comes to seafood, why settle for something that is not the best. When you choose us for fresh local seafood, you know you are getting quality that cannot be beat! Basmati's is known for our fresh local seafood. We have a menu filled with custom Asian dishes and seafood options that are sure to please everyone. If you're visiting the Destin, FL; Panama City Beach, FL; Rosemary Beach, FL; or Seaside, FL area, make sure to make a reservation for Basmati! For any special occasion, come in and enjoy the Asian fine dining at Basmati's. We welcome customers to make a reservation for all occasions. If you’re planning a wedding anniversary, birthday, graduation, or any other celebration, make it a night to remember at Basmati's Asian Cuisine. We carry an extensive menu of Asian food and seafood. Not only will we impress you with our Asian cuisine, but there is also something to say about the fresh local seafood that is incorporated into so many of our menu items. All the fish and vegetables are local, and many are organic. An intensely flavored menu offers pleasant surprises. Guests love our seafood specials and come back to enjoy them time and time again. Basmati's Asian Cuisine is a sleek and sophisticated, very romantic yet relaxing fine seafood dining restaurant for both indoor and outdoor dining on 30-A. Our guests come from Hurlburt Air Force Base and Panama City Beach as well as Destin, FL and Seaside, FL. If you're in search of a fine seafood restaurant for an upcoming celebration, make a reservation with us. We can make any occasion a special evening. Everything served at Basmati is special, fresh, and a little bit different. If you are looking for the best sushi restaurant or delicious Asian food, come try our delicious menu options. We have the best sushi restaurant in the area! No matter what seafood dish you order, you'll know that it comes prepared with only the best sushi restaurant that the region has to offer. Our food is truly one of a kind. While you wait for your meal, sip on a Basmati's cosmopolitan, Gary’s signature concoction of organic Hanger One Kaffir lime vodka with a dash of mandarin Napoleon or relax with a spicy ginger martini on the vine-covered front hideaway – a magical space perfect for intimate before dinner conversation or after dinner drinks. For lunch, try a salad made from locally grown and organic vegetables. Try our delicious selections such as the crab and asparagus egg drop soup with lump crab. Our salads are another delicious choice and include lettuce with chicken or fish, Thai caprese, or grilled watermelon salad. Lunch sushi includes spicy crunchy or spicy tuna. Choose from beef tenderloin, salmon, fish of the day, chicken or vegetable lo mein, or possibly the wagyu beef burger. Happy hour starts at 5 p.m. 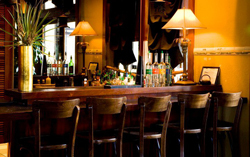 Enjoy half-priced appetizers, sushi, wine, beer, and well drinks. For appetizers or dinner, try our spring rolls, gyoza dumplings, Maryland style crab cakes, tempura shrimp cocktail, pu-pu platter, Thai calamari, the seafood special of the day, big eye tuna, rice paper wrapped salmon, firecracker grouper, Thai red curry shrimp, Basmati’s Breakers combo, beef tenderloin, rack of lamb, or the surf & turf. No matter what you try, we know you’ll enjoy an unforgettable eating experience. When you step into Basmati's, whether you are sampling Basmati's for the first time or are a long time customer, you will feel that proprietors Penny and Gary Hunt welcome you as if you were dining in their home. Gary crafts the magically potent concoctions that flow from the bar. Penny is the face of Basmati's – calmly navigating the always full dining room, greeting old friends, making new ones, and surpassing every guest’s expectations. The atmosphere, service, and outstanding food combine to make dining at Basmati's Asian Cuisine an experience like no other. So what are you waiting for? Experience it all for yourself and dine with us in Santa Rosa Beach, FL today.